Helsinki is Europe's northernmost capital, so being welcomed here with bit of a snowstorm on the first day of February didn't come as a surprise. As you can see, the locals also choose their vehicles wisely. A Pontiac Firebird with one too many stickers but the correct number of studded tires. The Finns don't buy stupid SUVs or pointless crossovers. They don't even buy as many AWD vehicles as one would assume. Instead, they learn how to drive and put studded tires on almost everything, from compact hatchbacks to old Jaguars. Is the average Finnish driver faster on a slippery road with a Mazda 3 than the average Subaru driver? I bet. 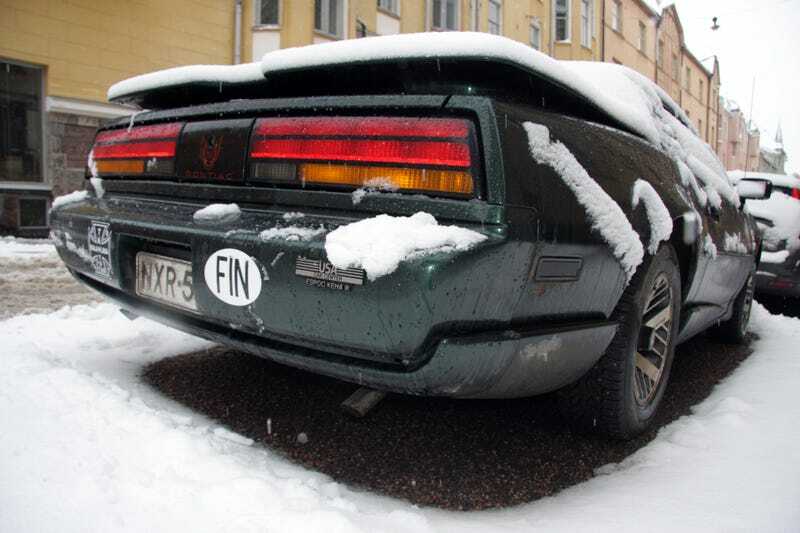 Is the average Finnish driver faster on a slippery road with a Mazda 3 than this dude with his green Firebird? Probably, but who cares?